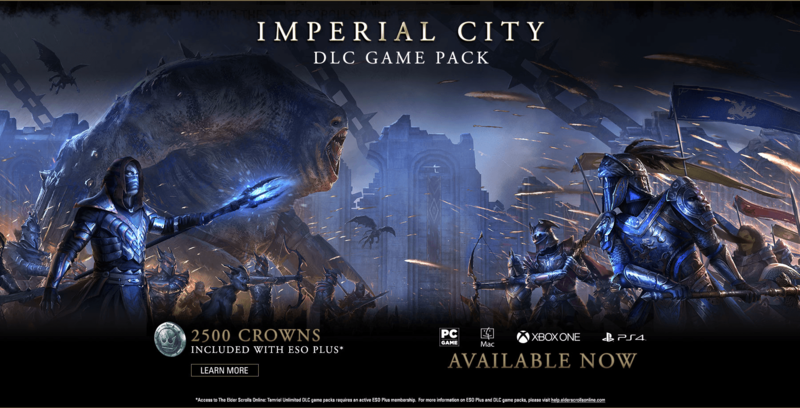 Following a successful launch on PC/Mac, Imperial City, the first DLC game pack for The Elder Scrolls Online: Tamriel Unlimited is now available worldwide for Xbox One and PlayStation 4. New PVE and PVP Content: Featuring six distinct Imperial Districts, battle against the forces of Molag Bal as well as the other Alliances. Additional Dungeons: The extensive Imperial Sewers network offers new PVP and PVE challenges for small groups of adventurers, while White-Gold Tower and Imperial Prison challenge PVE adventurers with both Normal and Veteran difficulties. New Quests, Enemies, and Characters: Whether participating in massive PVP battles in the Imperial Districts or adventuring in one of the new dungeons, players will be introduced to new quests and enemies, including the Xivkyn. Additional Weapons, Armor, and Currency: Fight the forces of Molag Bal to plunder Tel Var Stones, a new form of currency you can use for exclusive Veteran Rank 16 weapons and armor, or search for new Treasure Vaults containing other rare finds. 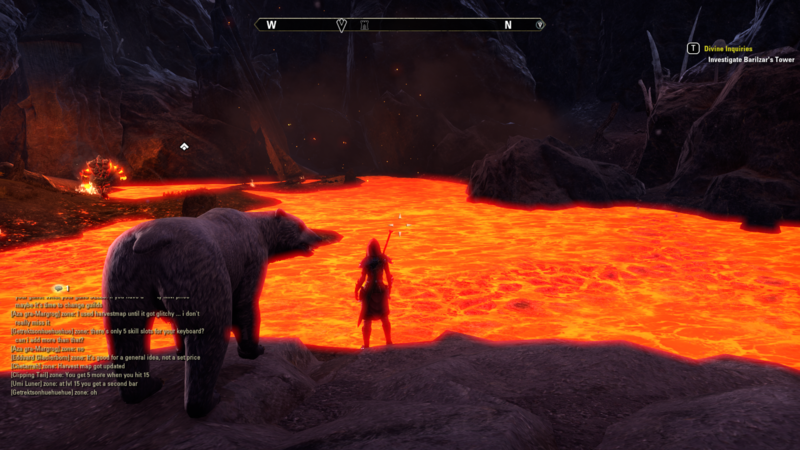 Imperial City-Exclusive Collectibles and Items: Exploring Imperial City or visiting the Crown Store will reward the player with a host of new collectibles including pets, mounts, costumes, and polymorphs!